There are few people in Oslo who will be unaware that one of the biggest sporting superstars of all time is set to appear at the ExxonMobil Bislett Games, the sixth IAAF Diamond League meeting of 2013, on Thursday (13). 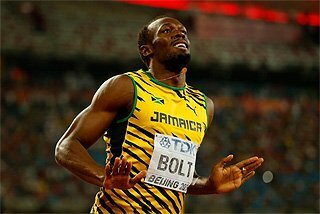 But Usain Bolt arrives in the Norwegian capital coming off the back of a surprise defeat, having been beaten by Olympic bronze medallist Justin Gatlin in Rome last week. Such an occurrence is rare, the feeling of losing a race isn’t completely alien to the Jamaican as he has suffered a small handful of defeats since his rise to being one of the most prominent sporting figures in the world in 2008. He simply isn’t ready to allow losing to become a habit. Here in Oslo he will be racing his first 200m of the year in a stadium where he has never lost. He made his Bislett Games debut in 2011, winning the 200m in 19.86, then returned last year to smash the meeting record in the 100m with 9.79. A third successive win for the six-time Olympic gold medallist looks highly likely, but one of the athletes in a nearby lane will also rouse a huge response from the crowd as Norwegian record-holder Jaysuma Saidy Ndure will be one of Bolt’s opponents. Also in the race is European champion Churandy Martina – a man who, like Bolt and Ndure, boasts sub-10 and sub-20 bests for the 100m and 200m respectively. Before the evening’s finale, though, there is plenty to entertain the thousands of spectators who traditionally fill the Bislett Stadium to capacity. 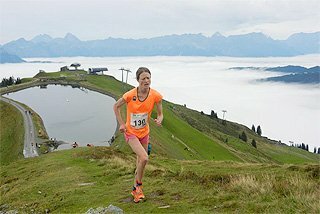 One particular highlight is expected to be the High Jump clash between World and Olympic champion Anna Chicherova and two-time former World champion Blanka Vlasic. 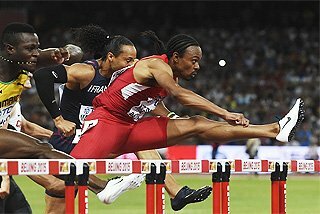 The pair have already met once this season at last week’s Diamond League meeting in Rome, where Chicherova got the better of her long-time rival; but Vlasic, who is returning from a long-term injury, showed that she can still mix it with the world’s best high jumpers and is improving with each competition. 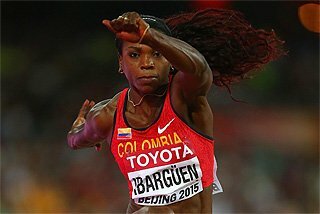 Chicherova, however, is undefeated this year and leads the world with her 2.02m jump in Beijing. She has lost to Vlasic on all three occasions she has competed against her in Oslo in the past, but the Russian could well put an end to that record on Thursday. Local interest, meanwhile, will be focused on European silver medallist Tonje Angelsen, who will be making her 2013 debut after having to contend with an injury throughout the winter. The most popular field eventer, however, will surely be Javelin thrower Andreas Thorkildsen. Although his reign as World and Olympic champion has ended in recent years, he remains one of the best in the world and last weekend set a season’s best of 84.64m. It could be one of the most competitive events of the night as little more than four metres separates the entire 10-man field on season best performances, the best of which comes from 2007 World champion Tero Pitkamaki. The Finn currently leads the 2013 world list with 87.60m – his best throw since 2009. Also in the field is Czech Republic's European champion Vitezslav Vesely, Trinidad and Tobago's Olympic champion Keshorn Walcott, rising Russian thrower Dmitriy Tarabin and Ukrainian record-holder Roman Avramenko. Sub-eight-minute Steeplechase on the cards? One of the oldest meetings on the Diamond League circuit, the Bislett Games has witnessed its fair share of World records over the years, and as such it boasts an impressive set of meeting records. But one that looks ripe for the picking is the men’s 3000m Steeplechase. Norway has never been treated to a sub-eight-minute clocking in the event, but that could all change on Thursday. 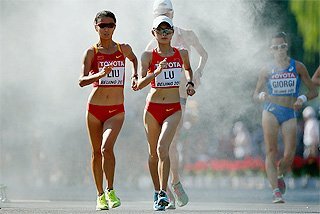 Kenya's double Olympic champion Ezekiel Kemboi and 2009 World silver medallist Richard Mateelong are in the field and are both sub-eight-minute men at best, but the favourite could be their young compatriot and 2012 World junior champion Conseslus Kipruto, who is undefeated this year after victories in Shanghai and Eugene. Like Kemboi, Meseret Defar also took gold medals at the 2004 and 2012 Olympic Games. The Ethiopian returns to Oslo with fond memories, having broken the World 5000m record here in 2007, which was subsequently improved one year later at the same meeting by Tirunesh Dibaba. 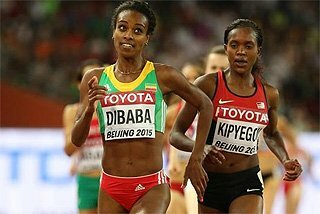 This time Defar won’t have to worry about the three-time Olympic gold medallist, but Tirunesh’s younger sister Genzebe Dibaba will be in the race, having defeated Defar in their last clash over 5000m in Shanghai last month. A permanent fixture at the Bislett Games, the Dream Mile brings together some of the best middle-distance runners in the world. 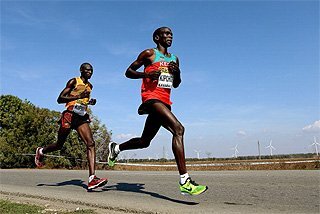 Turkey’s Ilham Tanui Ozbilen set a World junior record of 3:49.29 at this meeting in 2009, when he was then known as William Biwott and running for Kenya. The World indoor and European indoor silver medallist will be hoping that it’s third time lucky after his two previous top-four finishes in the Dream Mile. 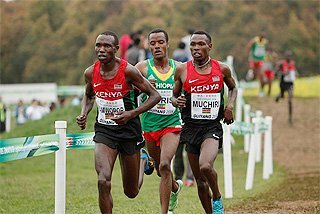 Pushing him will be Kenya's 2011 Diamond Race winner Nixon Chepseba, Norway's 2012 European champion Henrik Ingebrigtsen, Ethiopia's 2012 World indoor bronze medallist Mekonnen Gebremedhin, and rising Djiboutian talent Ayanleh Souleiman. Olympic bronze medallist Zuzana Hejnova has put herself in the frame as the early favourite for the World title in Moscow later this summer, having won all four of her 400m Hurdles races this year against tough opposition. 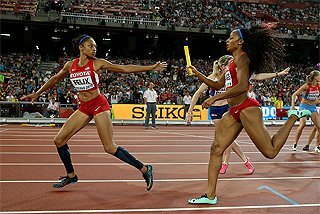 Oslo’s race will be another good test for the Czech record-holder as she will face the USA's current World champion Lashinda Demus and Great Britain's European indoor 400m champion Perri Shakes-Drayton. Ethiopian 800m runner Fantu Magiso hasn’t raced since she broke her own national record in New York last year with her 1:57.48 victory. A medal favourite for the London 2012 Olympics, she was forced to miss the Games through injury. Magiso will make her return in Oslo against a quality field that includes Burundi's current world leader Francine Niyonsaba, Russia's 2012 Olympic Games bronze medallist Yekaterina Poistogova, Kenya's 2007 World champion Janeth Jepkosgei and Ukraine's European indoor champion Nataliya Lupu. Elsewhere on the track, Dominican Republic's 2012 Olympic Games 400m silver medallist Luguelin Santos takes on Saudi Arabia’s Youssef Al-Masrahi, who recently improved to 44.72 to win the Arab title, over one lap of the track. Fresh from her 200m victory over Allyson Felix in Rome, Ivory Coast's US-based Muriele Ahoure is the favourite to win the 100m, while Great Britain's World indoor silver medallist Tiffany Porter will face Italian record-holder Veronica Borsi in the 100m Hurdles. Last week in Hengelo, Piotr Malachowski achieved two things simultaneously that no other man had managed to do for almost three years. 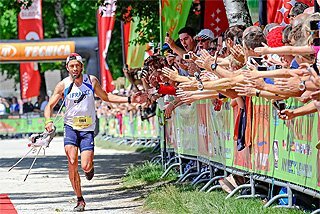 The first was beating Robert Harting, Germany’s World and Olympic champion. The other was throwing over 71 metres. His Polish record of 71.84m puts him at fifth on the world all-time list and makes him an outstanding favourite to win in Oslo, where he’ll face Estonia's 2008 Olympic champion Gerd Kanter and Iran's 2012 Olympic silver medallist Ehsan Hadadi. 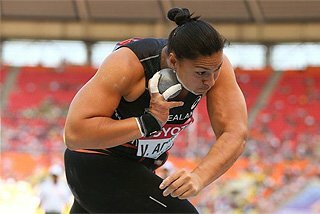 Another thrower tipped for success tomorrow night is German shot putter Christina Schwanitz, who has been in the form of her life this season and hasn’t lost a competition all year. 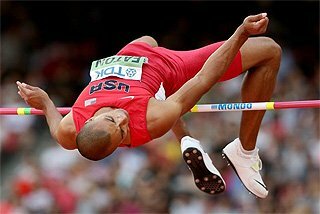 The jumping events boast two 2011 World champions – Brazil's Fabiana Murer in the Pole Vault and Ukraine's Olha Saladuha in the Triple Jump. Murer will be up against Poland's 2009 World champion Anna Rogowska and Czech Republic's European champion Jirina Svobodova, while Saladuha faces Colombia's Olympic silver medallist Caterine Ibarguen. As US athletes are preparing for their national championships later this month, the Long Jump in Oslo is missing the likes of Brittney Reese and Janay DeLoach Soukup. In their absence, Russia's Olympic silver medallist Yelena Sokolova, British record-holder Shara Proctor and France's 2012 European champion Eloyse Lesueur will battle it out for the victory.